Crowdfunding has gained a lot of notoriety in the recent years, mostly for allowing anyone to help bring innovative and quirky products to life. But for startups and small companies looking to get off the ground, relying on the public for funds can be a tough sell, as the public has different expectations than investors. We’ve previously covered the pros and cons of crowdfunding, and knowing who your target audience is and how to pitch them is crucial. While traditional fundraising is still a great way for companies to get investment, crowdfunding is undeniably attractive. That’s why more and more investors are turning to equity crowdfunding. What is equity crowdfunding you ask? It’s basically an investment arrangement that gives investors a proportional shares of company stock. How much each share is worth will be determined by the companies running equity crowdfunding campaigns. Be sure to check out our equity crowdfunding breakdown below to see if your startup should consider this fundraising method. READ MORE: What Is Equity Crowdfunding and Why Should I Care? As a company grows, each investor’s stake may appreciate as well. In an idea situation, a company will launch an IPO that gives shareholders a substantial return on their initial investment in the startup. For example, if Oculus offered equity crowdfunding at the time, its Kickstarter backers would have made a significant return on their initial investment. Instead, they just received a VR headset. In a worst case scenario, the startup goes under and investors will lose part of, if not all of their investment. For entrepreneurs, equity crowdfunding offers a few key benefits. Equity crowdfunding platforms get the company in front of thousands of investors at once and streamlines the fundraising process. However, entrepreneurs will also have to deal with managing expectations from more investors, who may or may not be involved in the company’s day-to-day operations. As such, it’s a good idea for equity crowdfunding companies to hire a communications staff or investor relations liaison. Before we go over what the best equity crowdfunding sites are, let’s go over some of the regulatory restrictions with this type of investment. After the passing of the 2012 JOBS Act, non-accredited investors (aka individuals who make less than $100,000 per year or have a net worth less than $100,000) are now able to invest in companies. The JOBS Act also dictates that companies can only raise up to $2 million per 12-month period without registering with the SEC, a time consuming process. Do note that you have to be 18 years old or older in order to invest. To qualify as a non-accredited investor, you must make less than $200,000 per year and there are some restrictions on how much you can invest. For example, those who make less than $100,000 per year or have a net worth less than $100,000 can invest up to 5% of their annual income. That means a maximum investment of $5,000 per year. Those who earn between $100,000 to $200,000 per year or have a net worth between those ranges can invest up to 10% of their annual income per year, or up to $10,000 per year. Indiegogo is one of the biggest names in crowdfunding and the company recently started offering equity crowdfunding. The selection of companies to invest in on the platform is limited at the moment, but more companies will flock to Indiegogo as the platform takes off. Equity crowdfunding on Indiegogo is run completely by a company called MicroVentures, which launched in 2011 and has raised more than $100 million. The company claims it has a 95% success rate. MicroVentures also vets the companies for Indiegogo quite seriously, working with YCombinator and 500 Startups to surface companies they think will be most successful. For investors, you’ll have to invest a minimum of $100 with a max investment determined by your earnings and net worth. For entrepreneurs, the biggest drawback of using Indiegogo is that you have to have a business based in the United States. If your company is based elsewhere, continue reading to see which equity crowdfunding sites are best for you. AngelList is unique in this list in that it’s more than just an investment platform. The site offers a place for companies to seek and attract talent. AngelList also allows investors to not only invest in individual companies, but also funds and syndicates. Funds allow investors to diversify their portfolios quickly with each fund containing at least 100 individual companies. Similar to index funds, these funds are not actively managed. Syndicates on the other hand, are overseen by experienced venture capitalists and angel investors. AngelList works for European and UK companies too, but will have to follow different restrictions. In August 2016, the company launched its syndicates platform in India. If you’re looking for a more focused equity crowdfunding platform than AngelList but value the talent and vision of its team, then Republic.co might be the site for you. Republic.co is run by AngelList alum, Paul Menchov, previously AngelList’s Head of Fundraising Infrastructure. His co-founder, Kendrick Nguyen, was also an AngelList alum who worked as the company’s General Counsel. As with other equity crowdfunding platforms, Republic.co requires companies to disclose information about itself, its business plans, offerings and the anticipated use of the funds it raises. Companies are obligated to disclose financial statements and other information regarding its business annually. Republic.co doesn’t mince words for investors. “Expect to lose money,” read the company’s FAQ. “don’t invest more than you’re comfortable losing.” It may seem like common sense but some people may be blinded by the thought of exponential returns when investing in startups. Crowdfunder is another excellent equity crowdfunding platform. For investors, its level of detail and transparency are unrivaled. Each company is required to disclose sales figures, employee count, list any patents that have been granted, and much more. 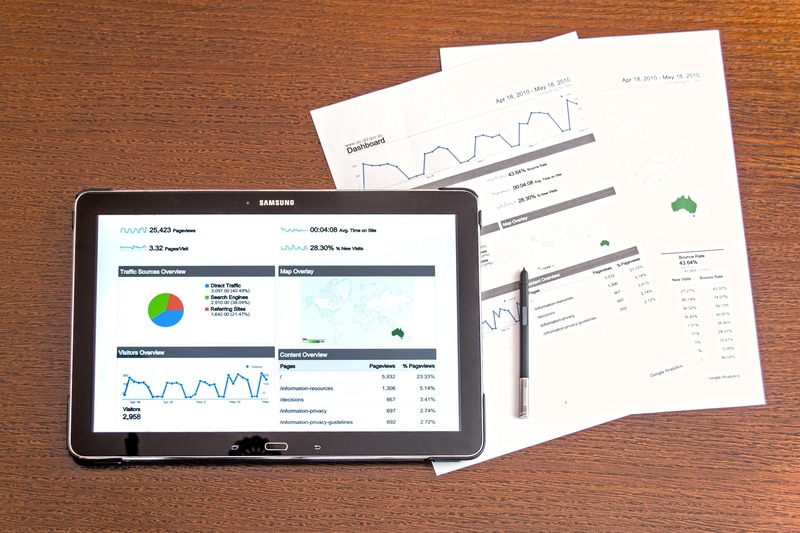 With this much information available just from a company’s campaign page, prospective customers can be put at ease that the companies they’re investing in are sustainable and likely to give returns on investment. The biggest knock against Crowdfunder is that it doesn’t actually perform any transactions. Pledges are nonbinding and take place off-site. Crowdfunder doesn’t explicitly limit minimum investments but expect to invest at least $1,000. Our client, Revl, is currently accepting investments on Crowdfunder. Fundable, like Indiegogo, blends equity crowdfunding with rewards-based crowdfunding. Companies can choose whether to give backers rewards, like per-ordering a product, or to allow backers to purchase shares in the company. To differentiate itself from the slew of other crowdfunding sites, Fundable offers hand-on assistance with constructing your pitch, profile and even business plan. For smaller companies, Fundable will be a great place to start since the platform lets companies raise a minimum of $10,000 at a time. Companies who don’t want to be the next Facebook and Google, and are comfortable in their own niche will enjoy Fundable. Like Crowdfunder, the biggest drawback of Fundable is that the platform currently doesn’t support direct investments, which means money and shares actually change hands outside of the platform. Investors will also have to invest a minimum of $1,000. 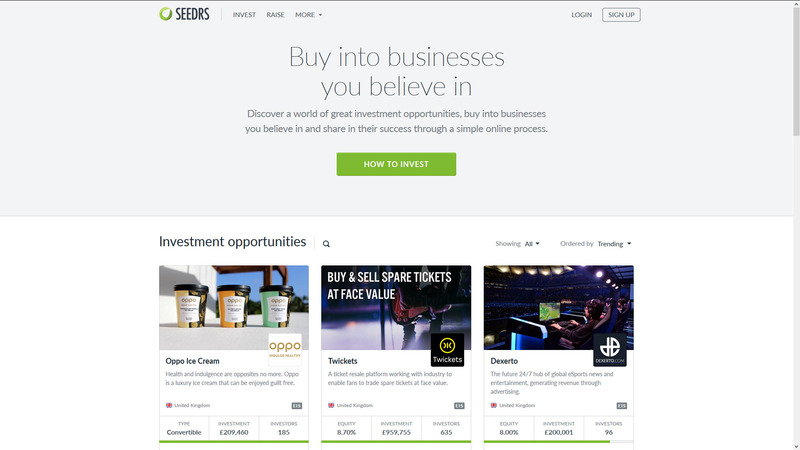 If you’re in the UK and Europe, you should check out Seedrs. This UK-based equity crowdfunding platform specializes in equity, funds, and convertibles. Funds means you can invest in multiple businesses at once, similar to stock exchange funds. Convertibles lets you invest in companies that don’t have valuations yet. In an effort to protect green investors, Seedrs makes new investors complete an Investment Authorisation Questionnaire, which lets them vet you as a “high net worth individual” or a “sophisticated investor.” Although annoying, this is in the best interest of investors and Seedrs as they don’t have to deal with dissatisfied investors who lose their money on the platform making dumb investments. Seedrs also works with companies trying to fundraise to make sure their campaign pages are up to snuff before they go live. If the company isn’t ready, Seedrs won’t put the campaign on its site. Like Kickstarter, Seedr’s fundraising is all or nothing. If companies fail to meet their target within 60 days, all money is returned to investors. However, if a company reaches its goal before 60 days, it can opt to accept additional investment in exchange for more equity. This flexibility lets companies decide how much control and equity to hand over. SeedInvest aims to have quality over quantity. While the other investment sites on this list allow just about anyone to invest, SeedInvest limits themselves to venture capitalists, angel investors, and accredited investors. This exclusivity means the public won’t see the detailed information of each company on the site. It’s not until you’re accepted that you can view all the descriptive details for each company so you know what you’re getting yourself into. Another benefit of SeedInvest is that investments are handled by the company instead of some dubious off-site service, though there may be times where transactions still place elsewhere. SeedInvest doesn’t list a minimum investment limit on its site but it’s rare to find investments under $5,000. Companies who wish to be featured on SeedInvest must have a minimum viable product or prototype, proof of concept, at least two full-time team members, and must be incorporated in the US. SeedInvest usually caters to technology and consumer-facing businesses. Food is going local, so why not investments? 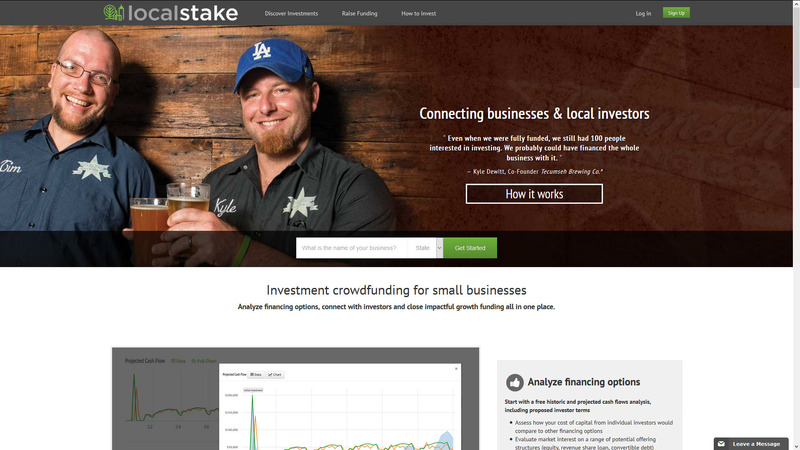 Localstake is an equity crowdfunding platform that helps small businesses grow in their home state. It connects local investors with local businesses to help keep jobs within the state. Most companies featured on this platform tend to be in food production, brewing, and apparel manufacturing. Localstake is unique in that it lets companies decide whether to offer equity, like the other platforms in this list, or whether to allow revenue share loans and convertible debt. Revenue share loans means investors can basically loan companies money for fixed return amounts. Like taking out a loan, companies must pay investors monthly based on the principal loan and company revenues for that month. The repayments will end once the rate of return has been fulfilled. Convertible debt is great for businesses that plan on raising equity financing in the future. Investors can loan money to businesses which convert the funds into discounted equity for the next round of equity financing. Another equity crowdfunding platform that puts quality over quantity is Wefunder. The platform offers up mostly startups in biotech, green energy, food, insurance, and logistics. The site offers investors easy to understand graphs and figures to quickly gauge if a company is worth investing. There’s even a “Why We Like This Company” section on each profile written by Wefunder staffers. This hands-on approach gives investors the confidence and data to make informed decisions. Whereas most equity crowdfunding platforms have a $1,000 investment minimum, Wefunder allows investments as little as $100, like Indiegogo. More interestingly, Wefunder offers something called Investment Clubs, which allow investors to leverage the “wisdom of experts.” Investors make reservations to be able to invest in the startups funded by Investment Clubs. This is great for investors who don’t want to do thorough research and trust the knowledge of a Club’s moderators.